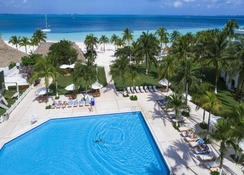 Beachscape Kin Ha Villas & Suites is an exclusive resort on the best beach in Cancun. 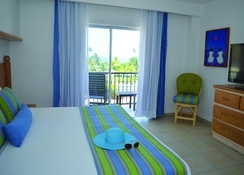 Located in the heart of the Hotel Zone, this fantastic 4-star hotel is ideal for a relaxing and fun holiday by the Caribbean Sea. Complete with direct access to the glistening beach (with an abundance of watersports), an outdoor pool, a gym, beautifully-tended gardens, a playground, and a relaxing spa – this property is a hit with families, couples and friends alike. 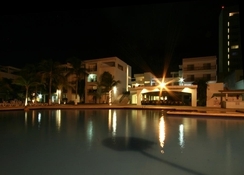 The hotel boasts 138 light, airy and spacious rooms divided into Standard Rooms and Suites of One, Two and Three Bedrooms which offer wonderful views and quality amenities. 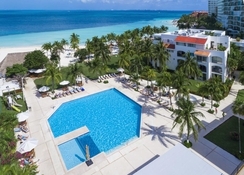 Beachscape Kin Ha Villas & Suites also offers guests two restaurants and snack bars, offering a selection of local and International dishes with a focus on Mexican and Seafood specialities. Want to explore beyond the hotel? The Pok ta Pok Golf Club neighbours the resort for sports enthusiasts, alongside exclusive shopping centres and the famous Mercado 28 flea-market, a great way to spend a day out. 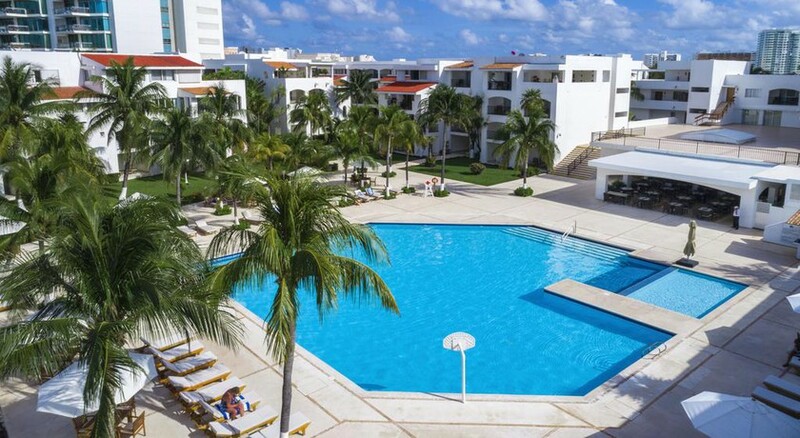 With an unbeatable location in the heart of the Hotel Zone facing the Caribbean Sea, Beachscape Kin Ha Villas & Suites is just steps from the main shopping centres in Cancun. It's also close to some of the busiest restaurants and nightclubs in the city. 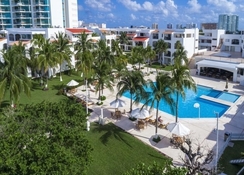 The hotel is 500m from Plaza Caracol, 8.6km from popular Downtown Cancun and is located 700m from the Ferry for Isla Mujeres. Additionally, guests can visit the Isla Shopping Village – at 4.5km from the hotel. The Cancun International Airport is about 25km from the hotel. 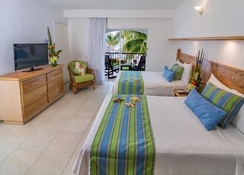 The suites at the Beachscape Kin Ha Villas & Suites Cancun are tailored to suit all guests, with a selection of Standard Rooms, Suites and Villas with a variety of bedrooms available. The spacious rooms come equipped with amenities such as a microwave, refrigerator, stove, blender, toaster, coffee maker, crockery, complimentary WiFi, ironing kit, and feature a terrace or balcony. The Albufera Restaurant offers international cuisine and is located by the pool with spectacular views of the ocean. It serves breakfast from 7am to 11:30am. The Palapa Restaurant, located by the beach, offers Mexican cuisine and light snacks to enjoy. There is a beach bar that guests can head to for refreshments during their time spent on the sand, too. The resort is within close proximity to the Pok-ta-Pok Golf Course, where guests can head out for a day of golf. The hotel also features an outdoor swimming pool and a separate kids’ pool, daytime activities, a playground and a spa which offers delicious chocolatherapy treatments and massages, too.